Elisa Contemporary Art represents a portfolio of international contemporary artists focusing on emerging through mid-career. Founded in 2007 by Lisa Cooper, Elisa Contemporary Art is dedicated to promoting the appreciation and collection of art as a way to enrich and heal our lives, our communities, and the world. 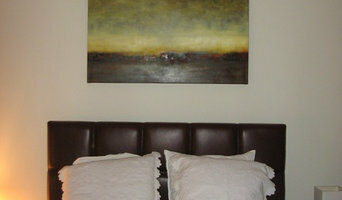 Owner Lisa Cooper provides residential and corporate art consulting services. Working with hundreds of artists around the world and galleries to source artwork across every genre, medium and budget. The Riverdale gallery opened in September 2008. 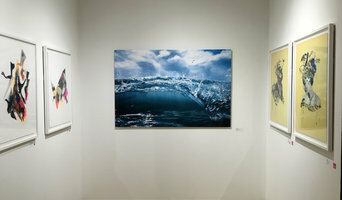 Elisa Contemporary Art has participated in high end art fairs in New York, Miami and the Hamptons, and curated over 15 public art exhibits in the Tri-State Area. In 2017, we opened an Art Salon in Fairfield CT. The gallery and our artists have been highlighted in the New York Times, New York Spaces, Ocean Home Magazine, Dwell and Hamptons Cottages & Gardens, American Art Collector and Art Daily. Lisa Cooper has given lectures on art consulting and collecting art, guest lectured at the School of Visual Arts, been a curator for Curate NYC and is part of the Art and Architecture Review Committee at Saint Peter's Church (NYC). Art Table and the Association of Women Art Dealers. We provide Art Consulting services to help clients find the artwork they love sourced from our artists, as well as artists and galleries around the world. A portion of every Elisa Contemporary Art gallery sale is donated to philanthropic organizations that help children and families within underserved communities heal and grow through their experience with art. Free Arts NYC and Art Therapy Outreach Center are supported. Producing fine art: round luminous, elegant gilded oil paintings; wide range of sizes, color, precious metals. Art and Design Collective is the home of an exclusive group of professional Artists, Art Curators, Graphic Designers, Fine Art Printing Specialists and Photographers. Each team member contributes their own individual strengths to the collective creative process, taking great pride in producing high-quality original artwork, limited & open edition Giclee prints. Our cultural backgrounds, international experiences and artistic insights have broadened our perspectives on beauty and space, creating a powerful synergy between art and interior design. Art Curators work closely with clients in collaboration with their design, taking a customized approach to selecting artwork for each unique space by fusing the décor, furniture and colors. We provide a personalized art shopping experience through our free professional art curating services. Artists: Born in Saudi Arabia to parents of Eritrean descent and raised in London, Muna Saleh specializes in abstract and figurative expressionism. Stacy Greene is an award-winning photographic artist whose work ranges from photography to mixed media, painting, and film. Pamela White is an artist and teacher who incorporates storytelling into her artistic creations. Ronan Salaun draws on personal experiences to create colorful, introspective narratives. Anthony Whitaker is an award-winning artist and engineer whose expertise in art and symbolism led to his capturing a historic photographic image of The World Trade Center. Bethany Robert is a multi-media artist who creates bold, abstract art with a balance of complex simplicity. Antoon is a Belgian printer who has worked across mediums for fine art publishing companies, filmmakers, photographers, and newspapers. 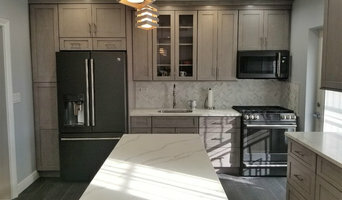 R. DeLorenzo Contracting (www.rdelco.com) has over 25 years experience in residential and light commercial construction. We offer you quality craftsmanship that includes attention to detail and outstanding customer service. We are a family owned business and we treat our customers the way we would our own family. We work with you every step of the way to transform your house into that beautiful home. Award-winning, fine art photography of Chris Zec specializing in serene scapes, stills and botanicals with compositions ranging from realistic to abstract to minimalist. We greatly enjoy working with designers and art lovers to provide complimentary, custom portfolios based upon your idea board, palette or textiles. Approachable art...joining with you to make the world a more beautiful place! Protrimwork has been serving Monmouth County and surrounding areas since 2004. We offer quality carpentry and specialize in custom decorative trim molding installation and custom fireplaces. What sets us apart is our creativity, custom designs, & we craft most of our own work. Rafal is very hands-on and does not hire subcontractors.